Dragon, the wonderful and moving story of a boy meeting a dragon, told without words and with amazing puppetry and stage magic that will leave you believing the unbelievable. 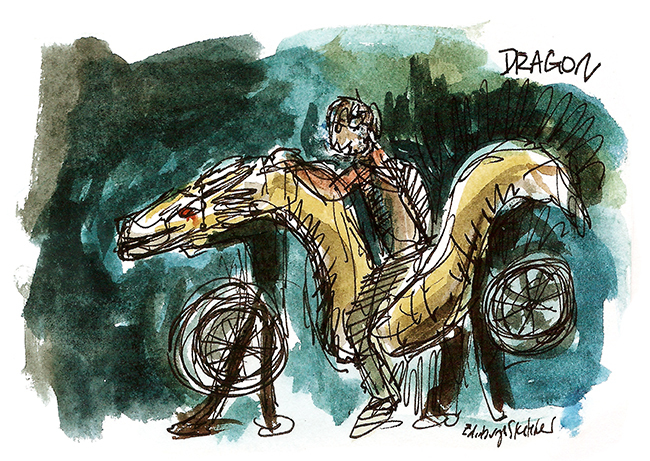 Created by Vox Motus, the National Theatre of Scotland and Tianjin Children’s Art Theatre, Dragon tells the story of Tommy whose life, since the death of his mother, has gone from bad to worse. One restless night Tommy goes to the window and throws back the curtain to find himself face to face with a dragon. Here have captured a couple of scenes from the play which runs today and tomorrow only at the Royal Lyceum Theatre as part of this year’s Edinburgh International Festival. 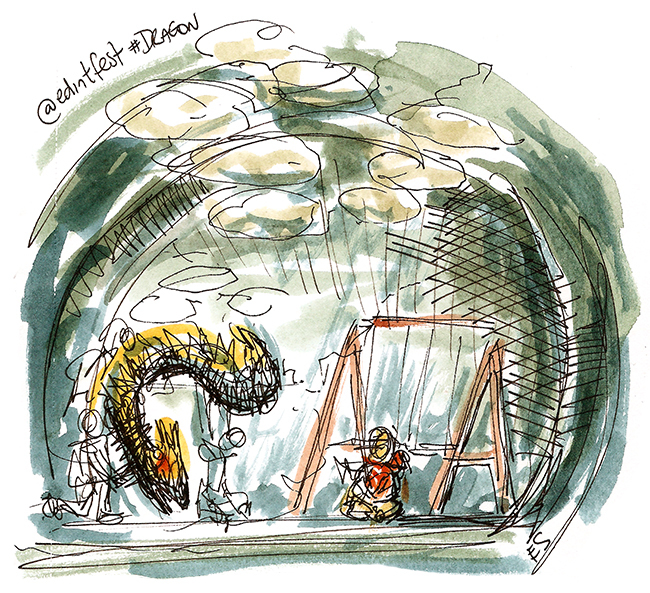 Above shows he Dragon first appearing to tommy as he sits beneath a swing, and below the dragon appears to become a motorbike as it and Tommy play together. See it if you can, it is a wonderful spectacle. @edinsketcher How long does it take you to do a sketch?